The Josef Mestenhauser Student Award for Excellence in Campus Internationalization recognizes outstanding student contributions to international education. This award acknowledges important work being done by students at the University of Minnesota to internationalize the curriculum and campus. 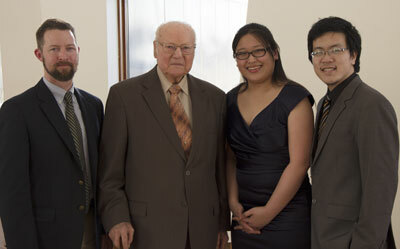 The Mestenhauser Student Award honors Dr. Josef Mestenhauser, Distinguished International Emeritus Professor, recognizing his long career of advocacy for and commitment to students. The 2019 recipients will be honored at an award ceremony on Friday, February 22. Esmira Alieva is a junior at the University of Minnesota, Morris, studying for her B.A. in Economics and Organizational and Financial Management. Throughout her studies, Esmira, an international student from Uzbekistan, has shown a high level of engagement in the University of Minnesota Morris community. Through her work, Esmira advocates for international social justice and works to create opportunities for students to engage with one another across difference in many ways. In fall 2018, Esmira gathered a group of student organizations to create a 9/11 memorial display, and in doing so, built trust among the students and created an environment that promoted peace and unity. As the co-founder of the Muslim Student Association (MSA), Esmira brought together leaders from multiple student organizations to collaborate on programming related to diversity and inclusion. Esmira serves as a representative to the Morris Campus Student Association and works as a residential advisor, in addition to her work as a student leader in the Office of Community Engagement. In these positions, Esmira demonstrates her dedication to ensuring international student representation among campus student leadership positions. Watch her digital story. 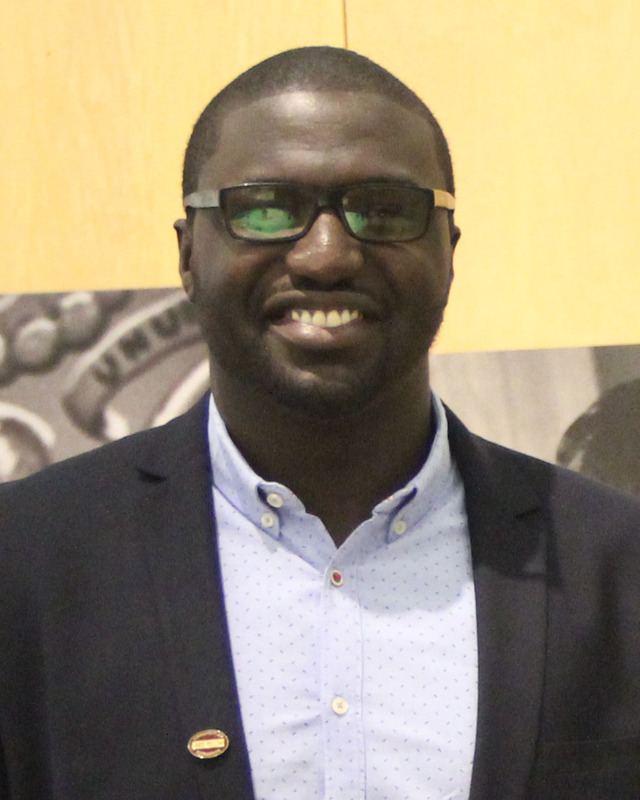 Seyni Mbaye is a graduate student in the Humphrey School of Public Affairs at the University of Minnesota, Twin Cities, pursuing a Master’s in Development Practice with minors in Program Evaluation and Public Health. For Seyni, an international student from Senegal, an important part of internationalization includes fostering a University community where international students can thrive and where both local and international students have opportunities to learn from one another. Throughout Seyni’s academic career at the University of Minnesota, he has worked toward this goal at the Humphrey School. Seyni served as a student representative to the Humphrey School’s Public Affairs Student Association (PASA), currently serving as the association’s vice president. In addition, Seyni has served as the Director of Programs for the Council of International Graduate Students (CIGS) and as a University of Minnesota Global Orientation Leader. In this role, he was involved in welcoming international transfer students to the University. He is currently a member of the University of Minnesota International Student Advisory Board, where he advises about issues important to international students on campus. Watch his digital story. 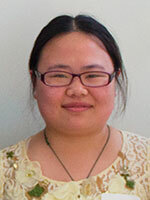 Xianyi (Sen) Xiong 熊宪逸 is a junior studying Microbiology and Biochemistry at the University of Minnesota, Twin Cities. 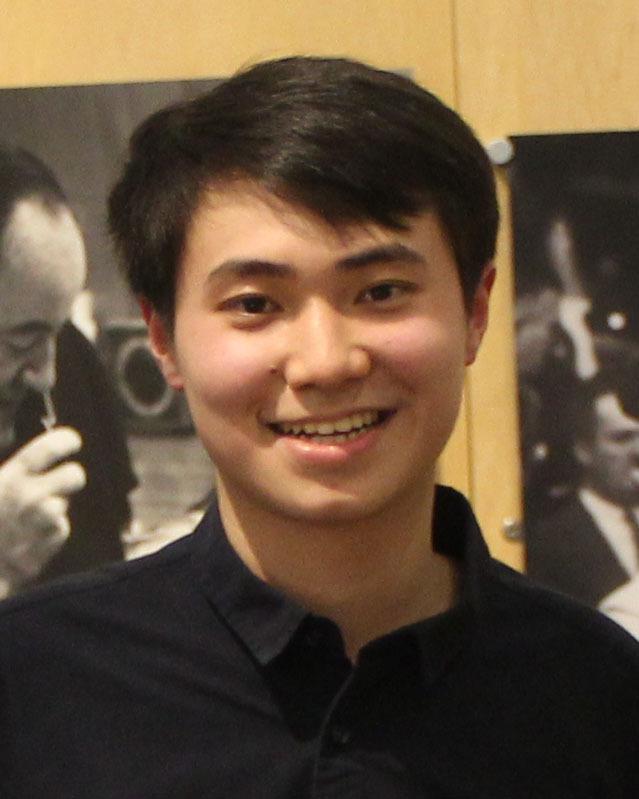 Sen, an international student from China, works as a writing consultant in the University of Minnesota Center for Writing, where he consults in both English and Mandarin. 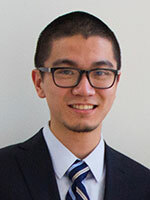 Xianyi provides writing consultations to both international and domestic students, and has demonstrated a strong ability to empower other international students through his inclusive and constructive writing support. Sen also works as a lab instructor and teaching assistant for general biology. In this role, Sen strives to bring international and multicultural perspectives into his teaching in order to engage and support students. For example, he re-designed a group project in a way that integrated the study of biology with the opportunity for students to connect with their own cultures and explore the culture of others. Sen has worked throughout his academic career to develop both scientific and entrepreneurial skills, which he hopes to apply to future work in biotechnology and environmental science. Sen is also the founder of a business that provides online English training in China, and through this endeavor, he connects English learners in China with UMTC students seeking to teach English as a Second Language. Watch his digital story. 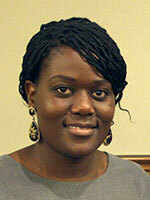 Melat Weldeselasie is a senior at the University of Minnesota, Twin Cities, majoring in Biology and Anthropology. 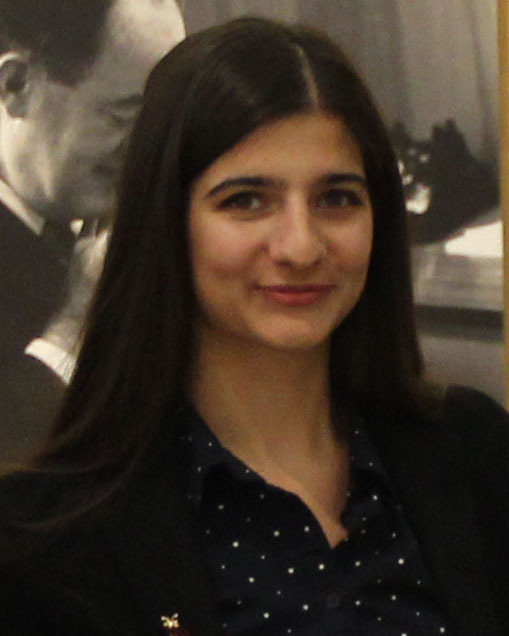 Melat has demonstrated a high level of engagement as a student leader at the University of Minnesota, dedicating herself to programs and initiatives that foster community and promoting opportunities for cross-cultural dialogue and exchange. Melat became involved in the leadership group of the Students Crossing Borders Living Learning Community, the Leaders Crossing Borders, in addition to working as a Community Advisor for the program. In this role, she was active in building community and advocating for resources and support for her fellow students. 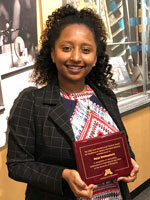 Melat also served as the president and adviser of the Ethiopian Student Association, where she organized events and built connections across the University of Minnesota and with the broader Twin Cities community, including with alumni of the University of Minnesota. Following graduation, Melat will serve as a Peace Corps Volunteer in Guatemala, where she will work with local community members to increase quality food access in educational settings. Watch her digital story. 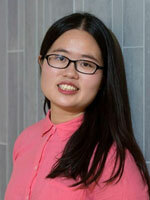 Zongwen (Fiona) Wu is a senior at the University of Minnesota, Morris, majoring in Environmental Studies and Political Science with a minor in French. Throughout her academic career, Fiona has demonstrated a strong commitment to environmental and social justice work as well as advocacy for international students. As an active member of a number of organizations, Fiona leads by example, encouraging her peer international students to get involved in campus organizations. Fiona has taken on leadership roles in organizations across the Morris campus, including serving as the Secretary for Academic Affairs and the Student Government Vice President in the Student Association, a student representative to the International Programs Committee, and as a Gender/Sexuality Advocate in the Office of Equity, Diversity, and Intercultural Programs. Her advocacy work focuses on international students and people of color who identify as LGBTQIA2S+, and she works to create spaces that are inclusive for all students. 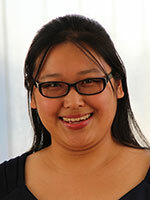 Fiona was recognized this year as a recipient of the U of M Scholarly Excellence in Equity and Diversity (SEED) Award. Watch her digital story. 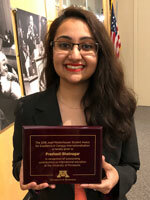 Prashasti Bhatnagar is a senior at the University of Minnesota, Twin Cities, studying Sociology with minors in Public Health, Neuroscience, and Social Justice. Prashasti demonstrates leadership in creating inclusive environments for international students and promoting social justice by challenging inequities, particularly regarding healthcare systems. Prashasti led an initiative as a Student Affairs Student Senate Committee member to increase access to mental health services for international students on all campuses of the University of Minnesota. Prashasti also worked as a Lead Peer Adviser at the Center for Community Engaged Learning (CCEL), where she is credited with contributing an international lens to the work of community engaged learning. In this role, Prashasti designed and implemented a Racial Equity Discussion Partners program for staff as well as a workshop series for students, with the goal of fostering conversations around social justice, equity, and creating change. Prashasti is committed to using her leadership skills and experiences to empower minority communities and striving toward making healthcare an affordable and accessible human right. Watch her digital story. Karen Soi Choi is a senior at the University of Minnesota, Crookston majoring in Biology and Environmental Science and minoring in Chemistry. Karen is actively involved in promoting environmental sustainability and building community for students from around the world. Watch Karen’s digital story to learn about the many ways she has been involved in internationalization and sustainability initiatives, including organizing a trip for international students to a local sustainable farm. Watch Takehito's digital story to learn more about his efforts to promote student and alumni engagement in the College of Education and Human Development and his research interests in internationalization. Nick Lee is a senior majoring in majoring in Management Information Systems at the Carlson School of Management with a minor in Computer Science at the University of Minnesota, Twin Cities. Nick’s own experiences returning to campus after military service in his native South Korea inspired his desire to help others in similar situations. Watch Nick's digital story to learn more about his work to improve the experiences of fellow South Korean male students. 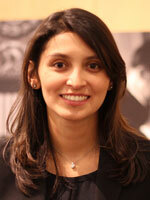 Camila Fonseca Sarmiento is a second year master’s student in Public Policy at the Humphrey School of Public Affairs. Camila has been a leader in a number of initiatives to improve the experiences of international students at the Humphrey School. Watch Camila's digital story to learn more about her work to connect international students to the wider Humphrey community and to hear from students and staff at the Humphrey School about the important role of fostering community with international students. Watch Paida's digital story to learn about how she pushes the Humphrey School community to go outside of their comfort zones, to see diverse perspectives, and play their part in internationalizing the campus. 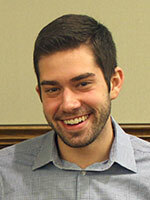 Carl Zwieg is a senior at the Carlson School of Management. Zweig’s first experiences with internationalization occurred when he did study abroad in Denmark. After having an amazing experience where the college’s Buddy Program made him feel at home, he “decided to give back” by becoming the president of GLOBE, the Carlson School’s program that pairs incoming international exchange students with domestic students. Watch Carl's digital story to learn about how was inspired by his experience studying in Denmark to make sure that international students at the Carlson School have the best experiene they can. Watch Si’s digital story to learn about how she became a student leader on campus and built connections between international and U.S. students. Watch Ben’s digital story to hear about the many ways he became engaged with student groups to better serve international students and help U.S. students understand new cultures. Douglas Kennedy is a Ph.D. student in the University of Minnesota’s Comparative and International Development Education program. Inspired by the experiences of his Distinguished Fulbright Award in Teaching grant in Tamil Nadu, India, Douglas has worked with Fulbright colleagues to build collaborative partnerships and international study programs in India and South Africa. Among many other commitments to internationalize the University of Minnesota, Douglas served as a student representative to the College of Education and Human Development’s International Education Committee; his work with the committee includes a project to promote internationalization of higher education and faculty collaborations on international education projects by providing access to resources, information, and opportunities to engage. Through this position, he also worked to build a collaborative partnership between the college and an educational trust in Mumbai, India. 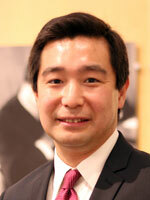 Sook Jin Ong, originally from Malaysia, is a master’s student at the Humphrey School of Public Affairs. She completed her undergraduate education in Australia, where her own experience as an international student inspired her to work to improve the experiences of international students in the Humphrey School. 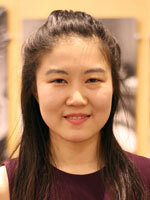 Sook Jin became the first International Student Representative in the Humphrey School’s Public Affairs Student Association (PASA). She has been active in setting up a formal organization, the Humphrey International Students’ Association, to prepare international students to live and study abroad as well as to increase interactions between domestic and international students. She has also been integrally involved in initiatives to create opportunities in the Humphrey School community for honest dialogues about racial discrimination, stereotypes, and negative perceptions that impact the lives of international students. 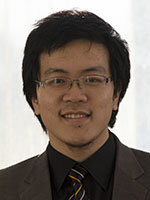 Khoa Vu is a senior majoring in economics and mathematics. 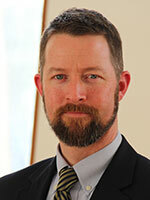 He is a leader in fostering multiculturalism on campus. 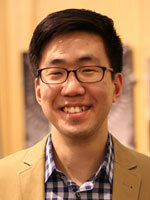 Khoa has served as the president of the Minnesota International Student Association (MISA) and has worked with the International Buddy Program (IBP). Through his involvement in these organizations, he has planned activities and events with the goal of introducing many different cultures to the University of Minnesota community and raising cultural awareness through intercultural interaction. Khoa believes strongly in the power of cross-cultural discussions and open dialogue to help students understand other cultures and appreciate diverse perspectives. He has been instrumental in developing collaborative opportunities among international student organizations and programs to the benefit of the entire community. Nominations cannot come from staff within the Global Programs and Strategy Alliance. Please submit nomination materials by Dec. 10, 2018. Thanks to donations from generous individuals, recipients receive a $500 scholarship along with the Mestenhauser Award. We welcome gifts of all sizes to the Mestenhauser Legacy Fund.